What is the toughest type of beer to brew? For a few months I'd been thinking about brewing a traditional Czech/Bohemian Pilsner. I ordered Saaz hops and Weyermann Bohemian Pilsner malt (although I didn't get my hands on their traditionally floor malted stuff) the only two ingredients needed for the clean/pale/spicy beer style. I spent considerable effort researching/calculating water adjustments (to soften my water I cut it with distilled) and a decoction mash schedule (I attempted the Hochkurz Double Decoction). Five days in advance I made a big yeast starter with a smack pack from Wyeast, it took three days to get going and when it did it looked/smelled a bit off. No problem, I ran out to the homebrew store the day before I wanted to brew to pick up two fresh vials of lager yeast from White Labs. I made a new starter, but 24 hours later it wasn't showing much activity when I pitched it into the 50 degree wort; at that point I wasn't too worried. Two days later with no drop in gravity or pH I decided to cut my losses and pitched a packet of clean ale yeast. I'm still expecting this to be a drinkable beer, but it won't be quite as clean/crisp as I was anticipating. Lesson learned, I'll keep a dry yeast on hand that can sub in for whatever I'm brewing (American, English, Belgian, Wheat, Lager etc...). 1.00 oz. Czech Saaz (Pellet, 3.50% AA) @ 75 min. 1.00 oz. Czech Saaz (Pellet, 3.50% AA) @ 23 min. 1.25 oz. Czech Saaz (Pellet, 3.50% AA) @ 10 min. 0.50 tsp Yeast Nutrient @ 17 min. 0.50 Whirlfloc @ 17 min. 12/1/10 Made a 2.5 qrt starter with a ~3 month old smack pack. No activity after 24 hours. Starter never really took off. 12/4/10 Made another starter with tubes of WLP800 Pilsner Lager Yeast and WLP802 Czech Budejovice Lager Yeast. ~2 qrts, put in fridge at 46. 12/5/10 Heated up 2.5 gallons of distilled with 2 gallons filtered DC tap. Added 1 g each CaCl and CaSO4 to the strike and sparge water. Weyermann Bohemian Pils, I believe it is the non-floor malted type. First decoction did not raise the temp as much as expected, only 150 instead of 158. Added boiling water to get it the rest of the way. Batch sparged with 174 degree water. Collected 7.5 gallons of 1.046 wort. Year old 4% AA hops adjusted down. 3.5 gallons into the fermenter at 57 degrees. Put into fridge at 47. Topped off with 1 gallon of chilled spring water and the starter to make 5 gallons. Starter looked less than active, but it seemed to be producing a small amount of CO2. Shook to aearate. Left at 48 ambient to get fermenting. No activity after 48 hours, shook several times and upped temp to 55. 12/7/10 Gravity and pH stable. Pitched a pack of rehydrated US-05. Good fermentation within 24 hours. Upped ambient temp to ~60. 12/19/10 Fermentation appears finished, most of yeast flocced out. Racked to a keg, dropped temp to 45, then 24 hours later to 35 to lager. 12/28/30 Sample was a bit buttery, so I pulled it out of the fridge and roused the yeast once a day for a few days. Four days later the diacetyl was gone. 1/10/11 Back into the fridge until a tap frees up. 1/13/11 Put on gas to carbonate at ~20 PSI. 2/9/11 Turned out pretty well despite the fermentation fail. Next time around (beside active lager yeast) I'm planning on switching the malt to the floor malted variety, and adding an addition ounce of Saaz at the end of the boil. I made a Bohemian 12 degree pale lager recently and also had a yeast fail. My fresh Wyeast smack pack never swelled. I think it was Wy2001 but neglected to write it down. I pitched anyway but didn't see any signs of fermentation so I picked up a vial of WLP802, which thankfully took right off. I did get ahold of that Floor Malted Bohemian Pils and triple decocted it. I have to highly recommend it. In Brazil we don´t have this kind of problem: we simply don´t have any liquid yeast availabe. That was just for a little fun. I have had very little luck with liquid lager yeast. I am going to try and use dry lager yeast on a couple of upcoming batches. I have read on multiple forums (and our that dry lager yeast works great, it also seems to work for Brazilians ;). I had good luck with a dry yeast on my last lager, but it didn't seem quite as clean as the ones I'd done with liquid cultures. I'll have to get the floor malted stuff and do the "full" decoction process sometime I have the effort for a ~10 hour brew day. My firend Nathan just got a sack of it, might have to steal 10 lbs. In my experience, for pale lagers and pilsners, the Fermentis SafLager S-23 is a good choice of dry lager yeast. Fermentis also have the W 34/70, but I, personally, consider this good for other styles, like wheat. Would you accept an invitation to write frequently in my blog? 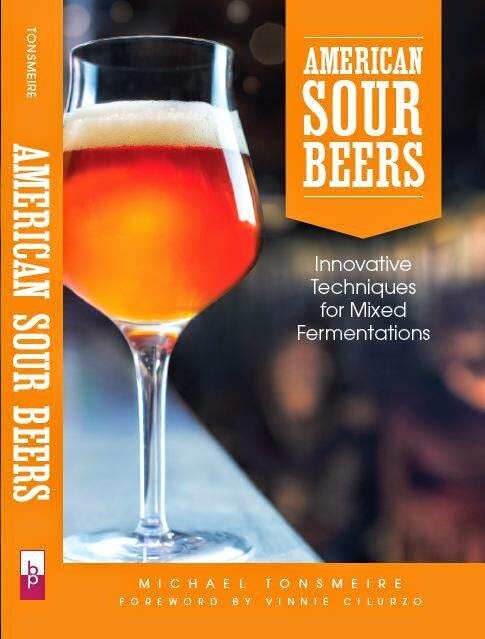 My blog is directed to the homebrewing newbies, once the hooby isflourishing in Brazil, so I´m trying to focus in the basic to intermediate info. I´m writing in Portuguese and in english... so if you accept the invitation, you can write in english and I translate it to portuguese. Also, we can write together about the same subject. For example: for the moment I´m obsessed for the saison style, so I´m researching much about it. Well... let me know if you accept my invitation. Kessbier is german for Daring beer and a sinonimous for swampy beer. Thanks for the offer, but I barely have enough time to write everything I want for this blog (not to mention brew). Feel free to translate any of my posts into Portuguese and post them on your blog, as long as you link back to my original post. Happy to answer any questions as well. Yeah... you seem to have the same problem as I: lack of time! That´s why I´m searching for a partner... anyway, thanks for your concern, and be sure: I´ll bother you a lot asking things. I feel you. You can have all of your systems in place and still have everything turn to crap. I finally got around to brewing that low gravity rye beer with the brett l. I had been emailing you about. Come brew day everything is going great. Then when I take my gravity readings at the end of it all I only ended up with about 60% effiency. Come to find out that my instant read digital thermometer was reading 20 degrees higher than actual temperatures. So I thought I was mashing at 152.... really 132. I just "fixed" it by making a step-wort and boiling it down to near syrup levels and putting that into the already fermenting beer. Also in my experiences the dry lager yeasts tend to be a shade fruity, no matter how cold you ferment. Nice save. Always good to have a few tricks in the bag. At some point I'll have to do a split batch side by side of a dry/liquid lager yeast to see how close they are. Trying tho avoid this thermometer trouble, I always check if it´s working properly by measuring the temp of a cup full of melting ice. I already had this kind of trouble once. It depends who you ask. I’ve heard from several knowledgeable pro-brewers that fermenting a lager starter at fermentation temps leads to a cleaner primary fermentation (especially in this case where I didn’t have time to decant). I've had fine results doing starters at fermentation temp with lagers in the past. Pitching a healthy culture into a starter I haven’t experienced a lag period longer than a day even at lower temps. Just finished a Bohemian Pilsner using Prostejov Moravian malt from Chicago Brewerks. I did a triple decoction even though it was NOT likely the not floor-malted type. Long brew day for sure! Hit all my temps 95, 122, 144, 163 (mash out). Long, slow, fly-sparge using First Wort Hopping method. Cold pitched Wyeast 2001 at 45F, slowing ramping to max 48F. I've made this beer before and have obtained great results adding 10-12 medium toast oak cubes into secondary. Really adds depth, smoothness and mouthfeel IMO. Secondary is always 40 days, just like PU Brewery. Cheers fellow homebrewers! !